Talking fuel caps are being fitted onto Essex Police cars reminding officers not to fill up with the wrong fuel. The force introduced the devices after it paid out £42,000 for repairs in five years because more than 200 cars were filled with the wrong fuel. Automated messages will tell drivers whether their car is petrol or diesel. A police spokeswoman said staff used a variety of petrol and diesel fuelled cars in a week. The device is one of several measures to combat the problem. She said: "We have also fitted large yellow fuel flaps over the filling point, reminding the driver who has to lift them up to refill the vehicle with the correct fuel." 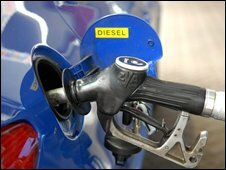 Devices prevent petrol nozzles fitting into diesel tanks are also being introduced. Gavin Hill-Smith, from the AA, said there were about 150,000 incidents of people using the wrong fuel each year.